Windows logo key + R type "winver" then select ok.
2. Right-click the Start button on the desktop and click on Device Manager. 3. Double-click 'Multimedia Audio Controller' in the Other devices, or right-click it and the click 'Update driver'. 4. Click 'Browse my computer for driver software'. 6. If setup is complete, you can find 'Envy 24 Family Audio Controller WDM'. 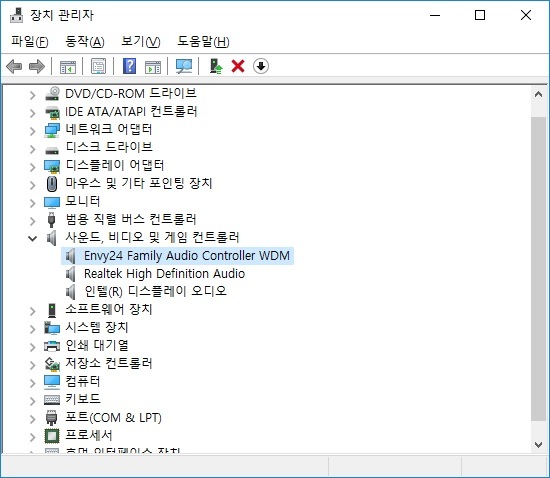 Right-click the 'Envy 24 Family Audio Controller WDM’ on Device Manager and click 'Delete'.